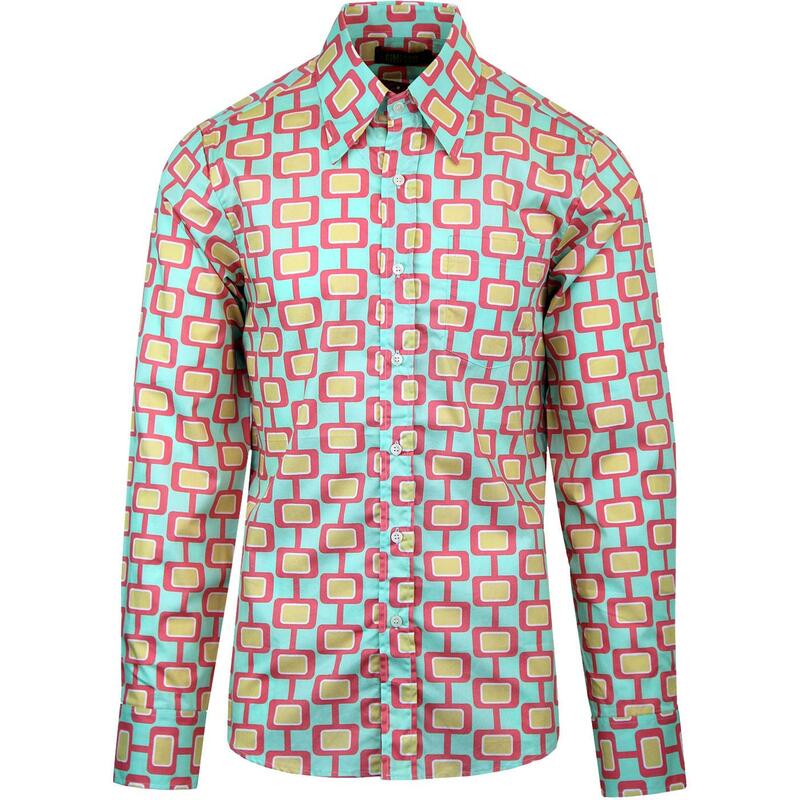 Chenaski 'Screens' retro 1970's abstract print shirt in mint and rose. 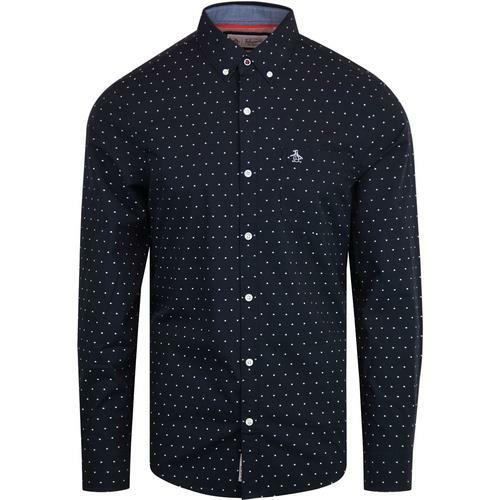 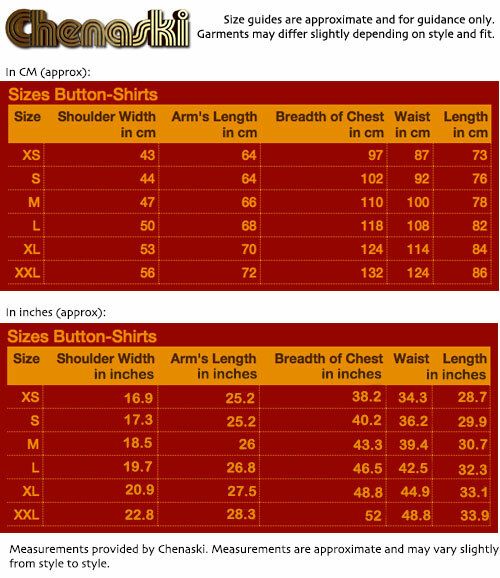 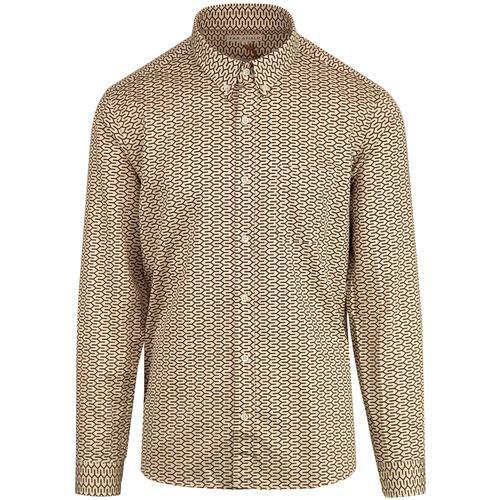 Following the usual chenaski blueprint this fab retro shirt has a big collar and eye catching design. 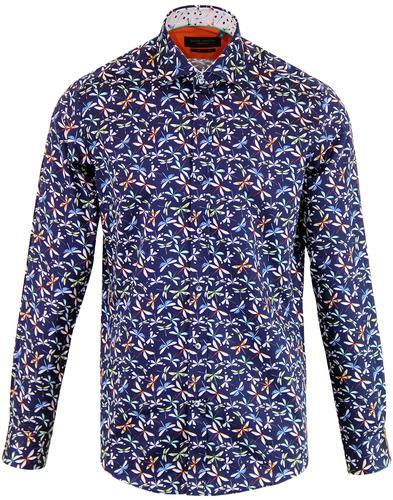 This shirt could have been made for the early days of colour TV, With its bold, vivid hue ensuring whoever wears it will stand out a mile. 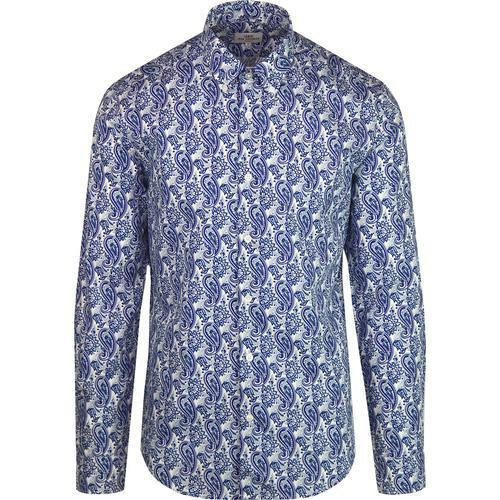 A fab centrepiece to any retro extroverts outfit.